Mexican families enjoy traveling to visit with relatives during major vacation periods, and spring break and Holy Week are no exception. Not only will those living in Mexico travel, but those Mexicans with relatives still living in Mexico may return home to visit. In fact, the Mexican government is preparing for a large number of U.S.-based Mexican travelers in the coming month. A smartphone app even provides electronic access to Guia Paisana, the Countryman’s Guide, published for the coming travel season. Before traveling across the border, it’s important to purchase your Mexico auto insurance policy by MexicanInsuranceStore.com so that you are prepared in case of an accident. Your Mexican auto insurance from MexicanInsuranceStore.com can be handled completely online so that you don’t have to waste time buying coverage at the border. According to officials, approximately 300,000 Mexicans will return to Mexico for the holiday. The guide includes information about various services and facilities to consider accessing during your visit. Additionally, the government is increasing the value of goods that can be imported without duty, raising the limit to $500 instead of the normal $300. As you take your U.S. or Canada-plated vehicle into Mexico, it is important to remember some key coverage details related to your Mexico auto insurance policy by MexicanInsuranceStore.com. For example, you must have a valid driver’s license and be at least 21 years old for your Mexican auto insurance from MexicanInsuranceStore.com to be valid. If your teenager has a license, you need to remember that his driving in Mexico could put your coverage in question if an accident happens. It’s also important to remember that your coverage doesn’t include foreign drivers of your vehicle, not even if those wanting to drive your car are family members. Make careful decisions about who will drive your car in Mexico. If you plan to tow a trailer, boat or other car, be sure that you add it to your primary Mexico auto insurance policy by MexicanInsuranceStore.com. A towing accident with an unlisted vehicle or trailer could nullify your policy. Remember that higher coverage requirements have been in place for more than a year. State-by-state fatality benefits can be dramatically different, and it’s up to you to select the best level of coverage based on the locations you will visit as you drive. 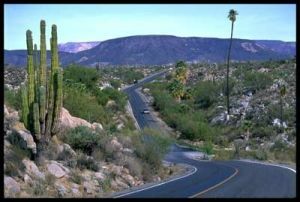 Each Mexico auto insurance policy by MexicanInsuranceStore.com comes with free Roadside Asssistance throughout Mexico. With the help from Mexican government, now many travelers from in and outside of Mexico can benefit from this opportunity make sure that your auto is insured. I made the most of my Mexican auto insurance. It gives me additional coverage against vandalism as well as partial theft. Thanks, the premium I pay is not even expensive.